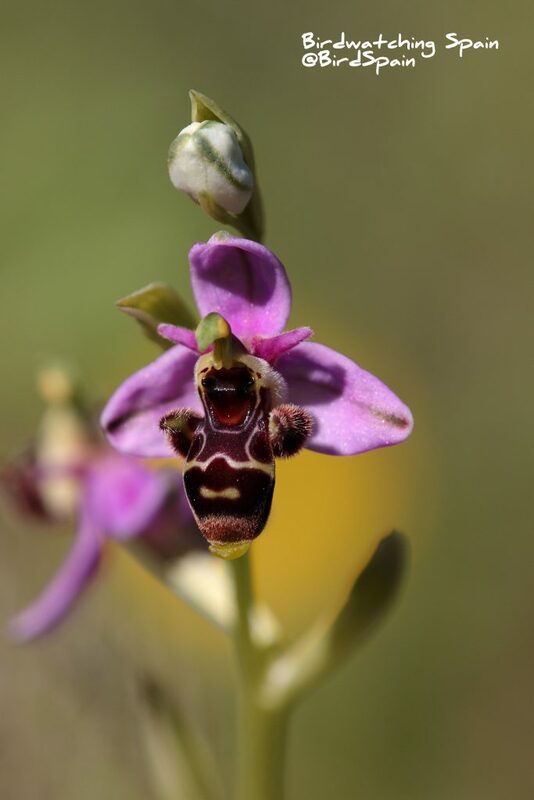 Following there is a small selection of the orchids seen during our wildlife and orchids tours in Spain. 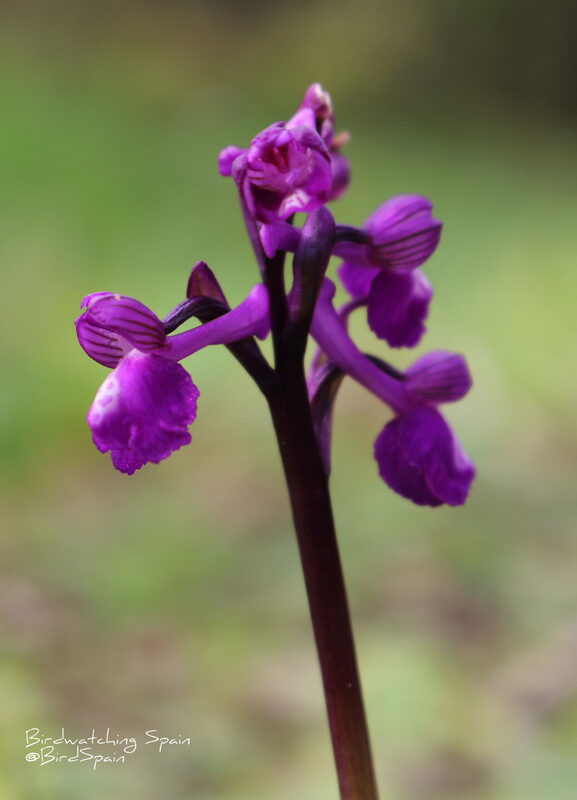 If you are keen on orchids and general wildlife, please visit our calendar where you will find different itineraries and species we shall see during the trip. Please, do not hesitate to contact us for more information. 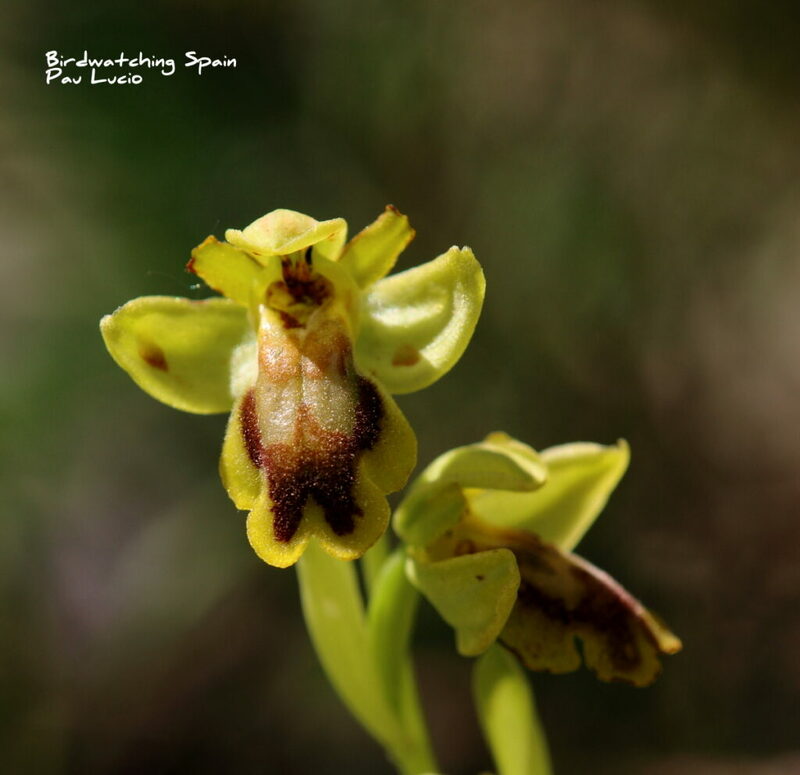 Although our wildlife and birding tours cover much of country, our orchids tours are mainly focus on Costa Blanca (Alicante). This area is considered a botanical hotspot for the diversity and number of plants found, many of them endemics. 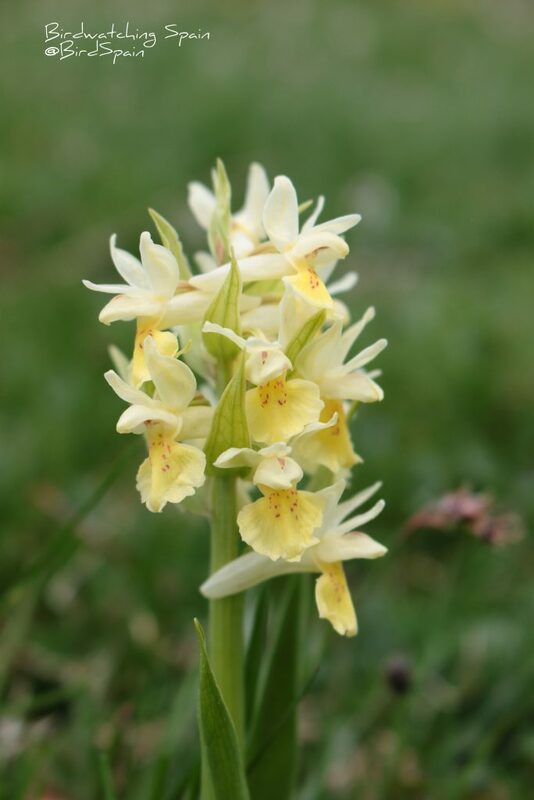 Among these, there is a remarkable number of orchids which can be found from February to June, being March and April the months with more species blooming. 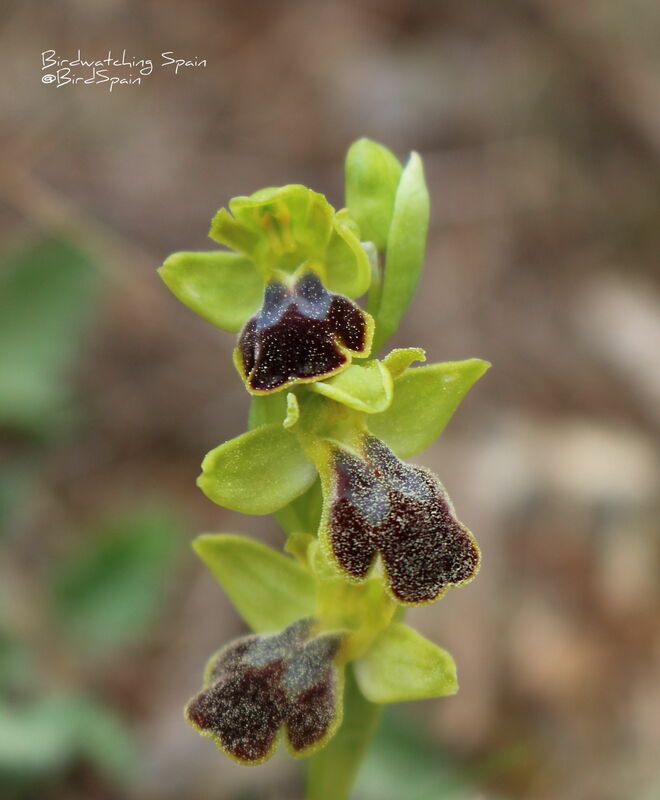 The diversity of habitats, going from the seashore to mountains over 1500 m.a.s.l makes possible to find in the Valencia Region 77 species of orchids. 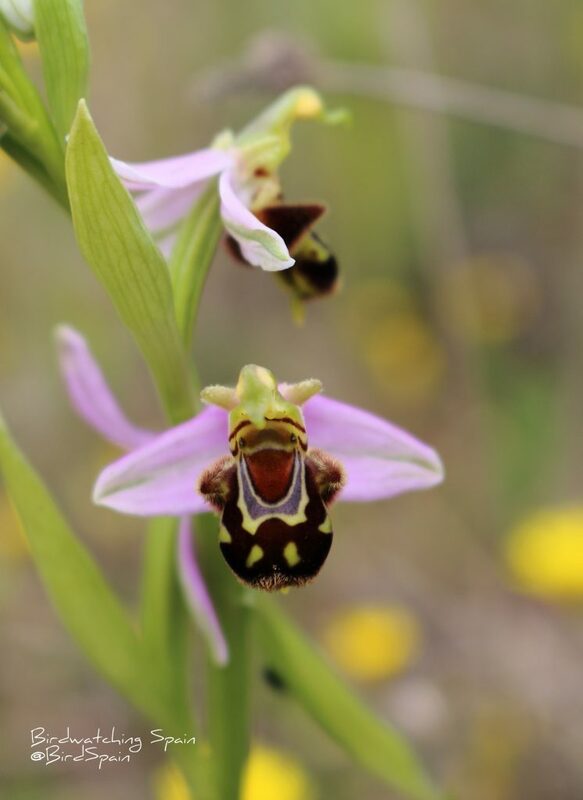 Ophrys x serrae. 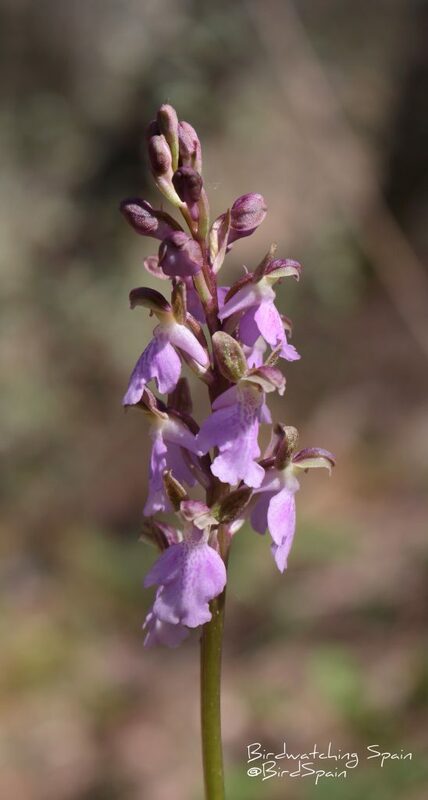 This rare orchid was described in 2015 and it is the result of the hybridation of O. lucentina x O. lutea and it is seen in Costa Blanca. 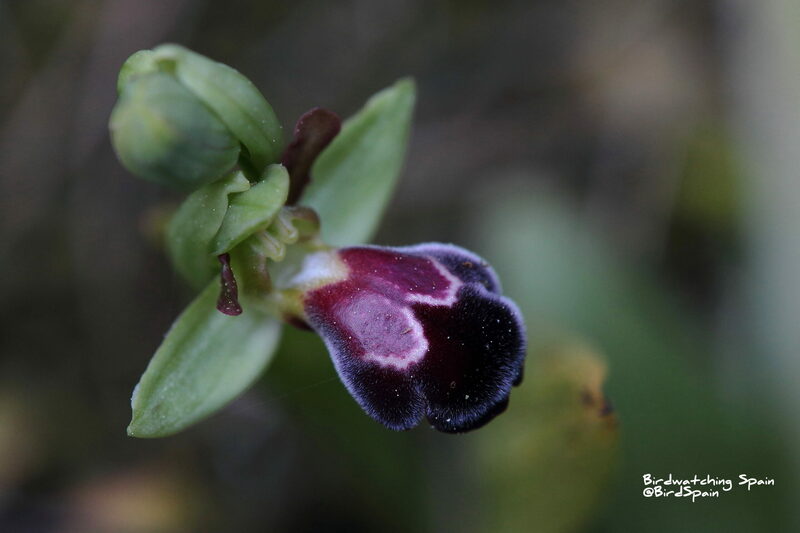 Ophrys x castroviejoi. 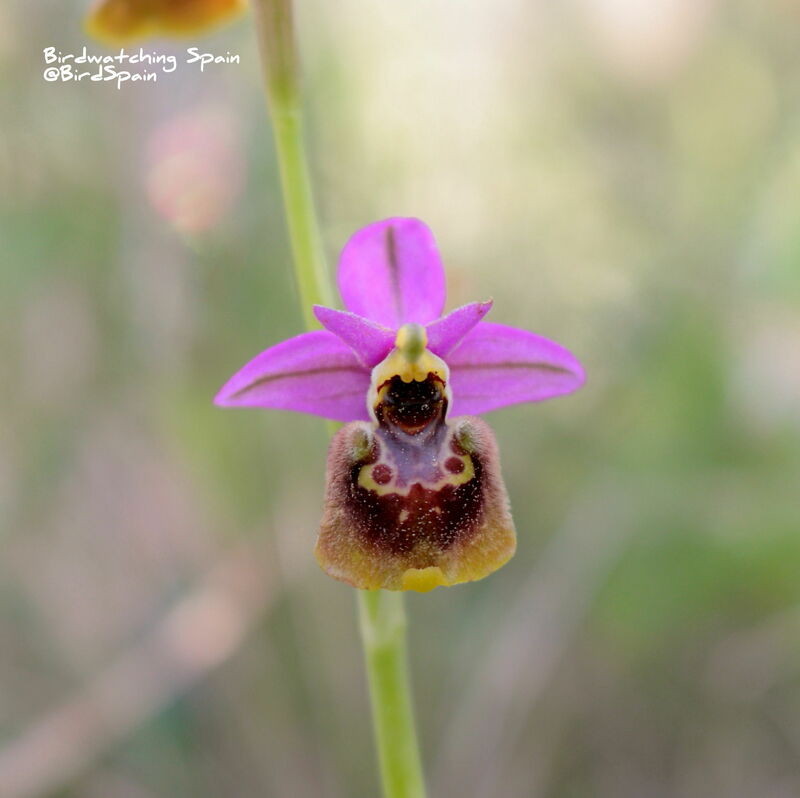 This stunning orchid is the result of the hybridation of O.scolopax x O. speculum and it is seen in Costa Blanca. 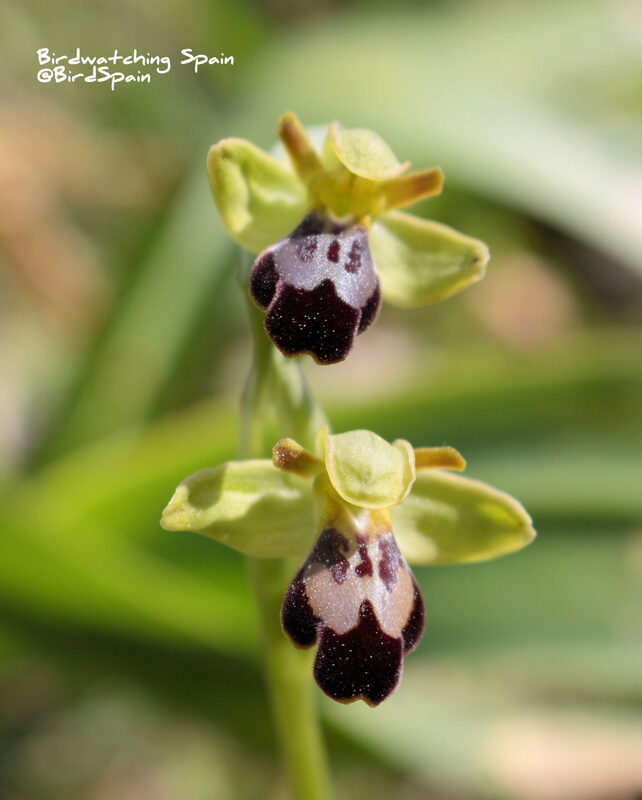 Ophrys x pielteri. Another incredible hybrid from the combination of O.scolopax x O. tenthredinifera. Seen in Costa Blanca. 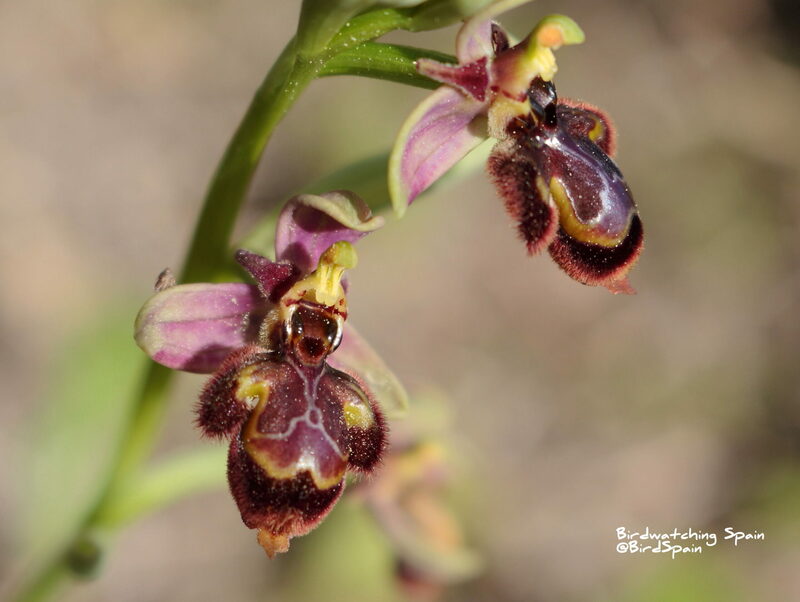 Ophrys x pseudoespeculum. Hybrid from the combination of O.scolopax x O. lutea. Seen in the mountains of Alicante. Orchis x bivonae. 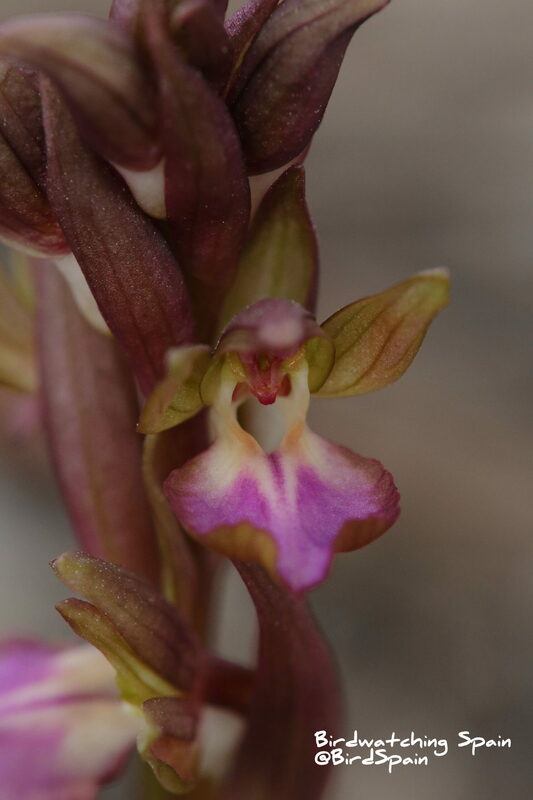 Hybrid from the combination of O.italica x O. anthropophora. Seen in the mountains of Alicante. Sombre-bee orchid – Ophrys fusca. 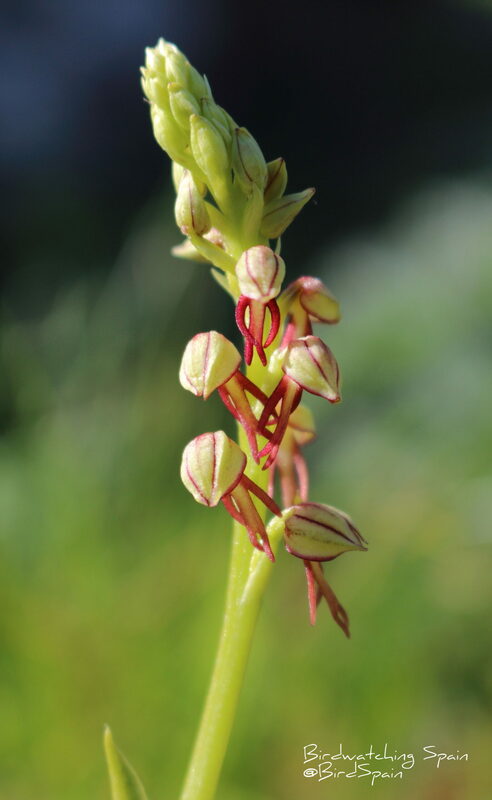 Widespread orchid. Dark-bee orchid – Ophrys dyris. In Costa Blanca tour. Woodcock orchid – Ophrys scolopax. Seen in Valencia, Alicante and Granada tours. 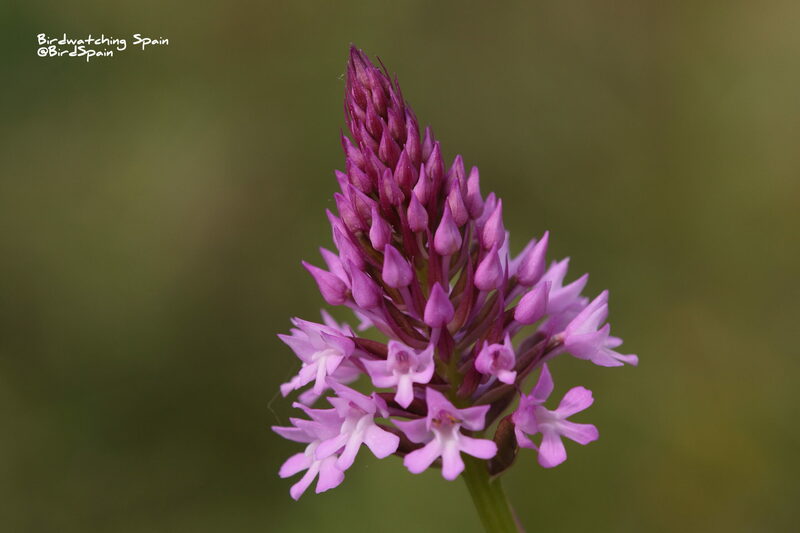 Pink butterfly orchid – Anacamptis papilonacea. Seen in Extremadura and in Alicante tour. 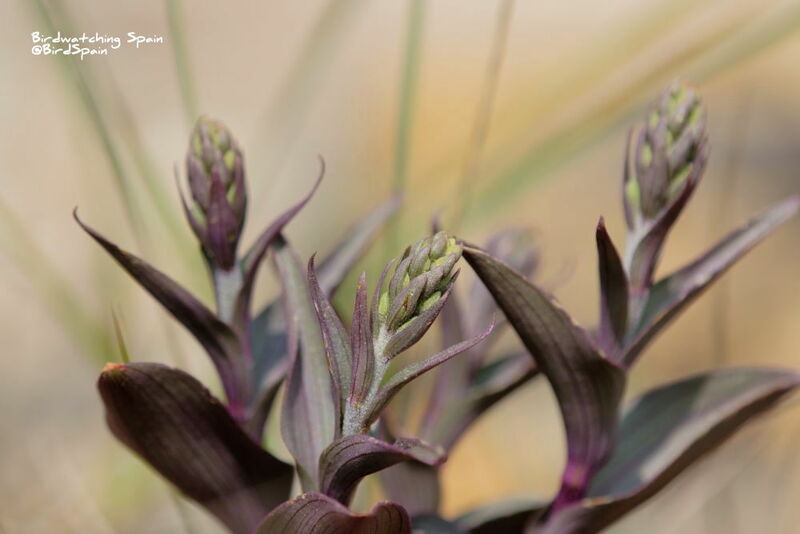 Naked man orchid – Orchis italica. Seen in Extremadura, Alicante and Granada tours. 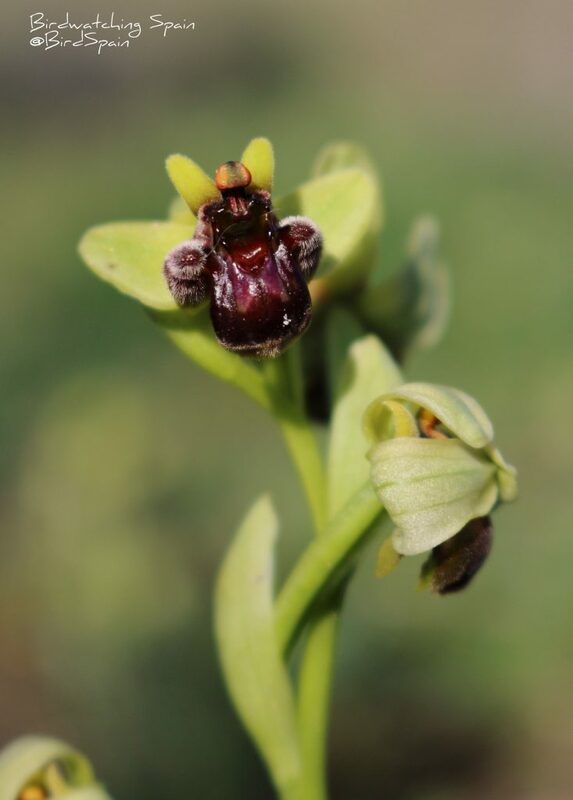 Ophrys dianica. Endemic of North Alicante and South Valencia. 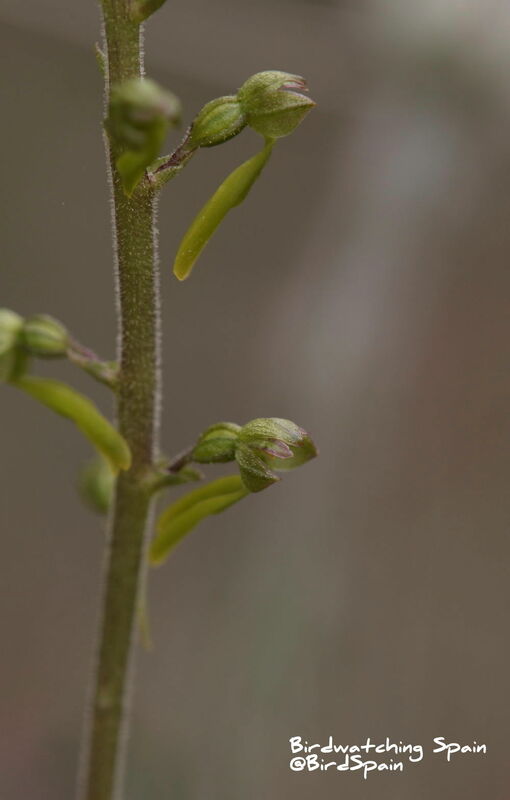 Sawfly orchid – Ophrys tenthredinifera. Seen in most of our tours, widely spread. Small Woodcock Orchid – Ophrys picta. Seen in Málaga and Granada tours. 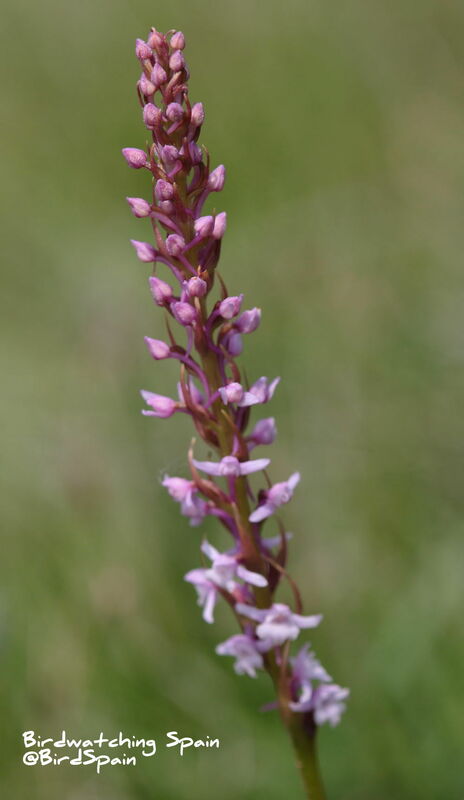 Fan-lipped orchid – Anacamptis collina. Seen in Granada. Giant orchid – Himantoglossum robertianum. Seen in Extremadura and Alicante tours. 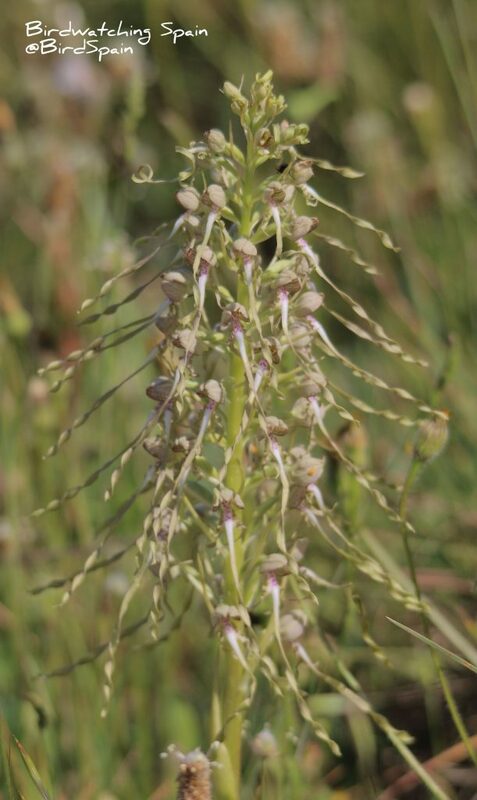 Conical orchid – Neotinea conica. Seen in Extremadura and Alicante. 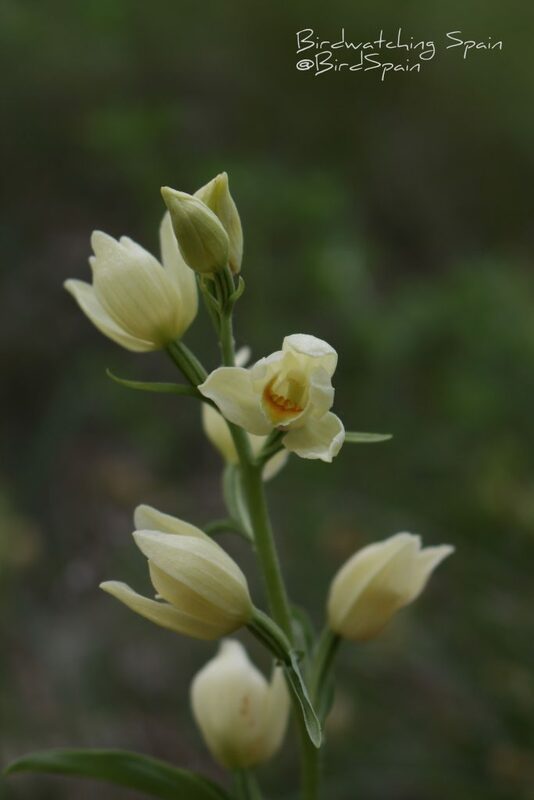 Narrow-leaved Helleborine – Cephalanthera longifolia. Seen in Valencia and Alicante tours. 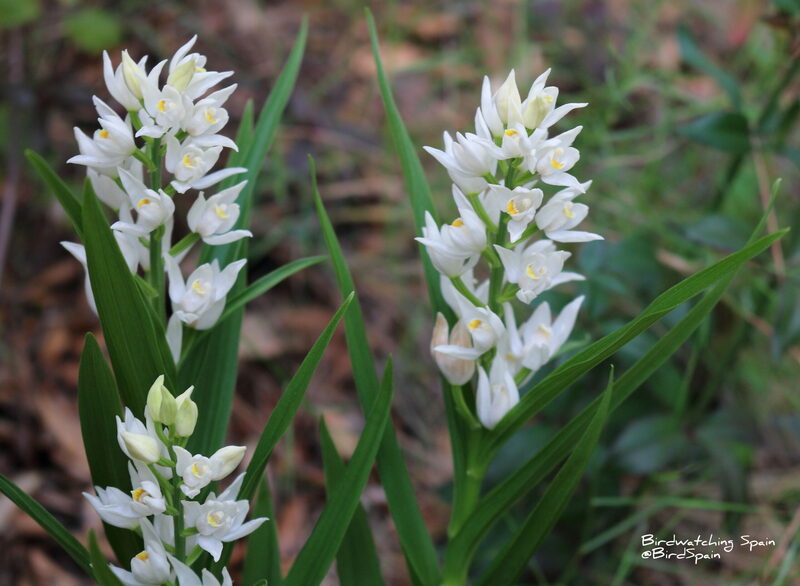 White Helleborine-Cephalanthera damasonium. Seen in La Mancha and Alicante tour. Bee orchid – Ophrys apifera. Seen in the mountains of Alicante. 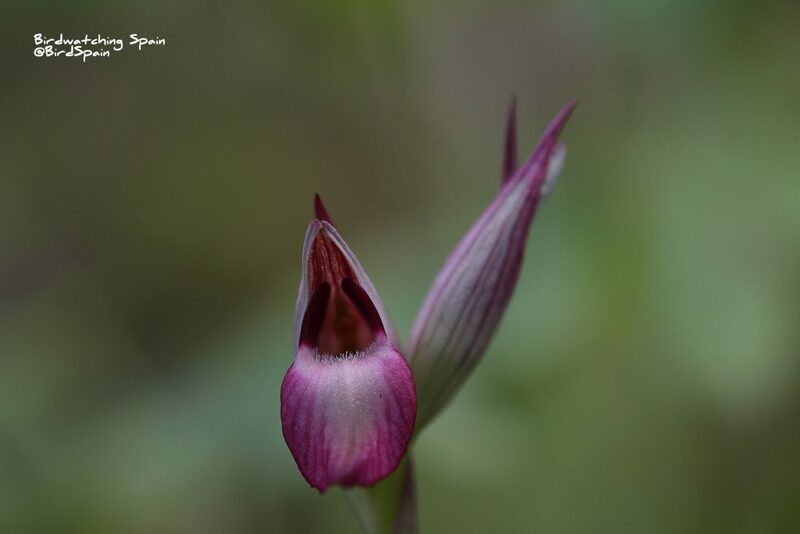 Small-flowered tongue orchid – Serapia parviflora. Seen in the local tours of Valencia. Tongue orchid – Serapia lingua. Seen in the local tours of Alicante and Doñana. 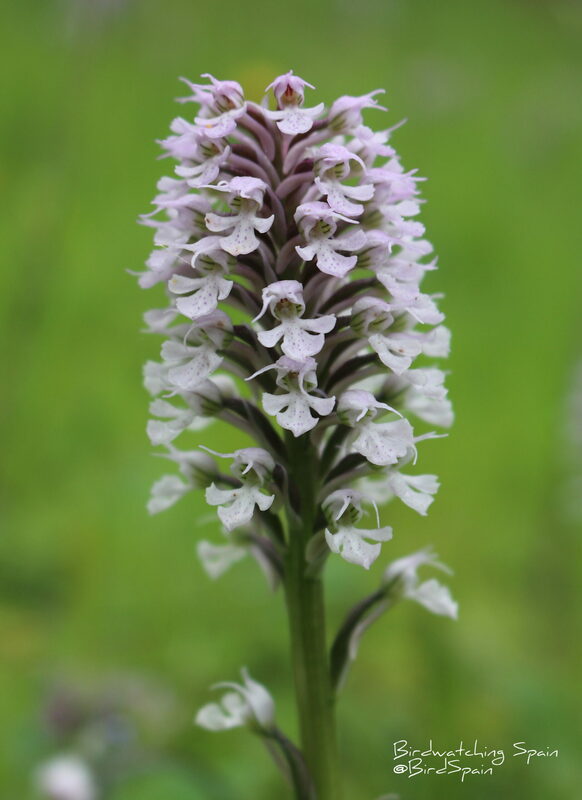 Elder-flowered orchid – Dactylorhiza sambucina. Pyrenees tour. 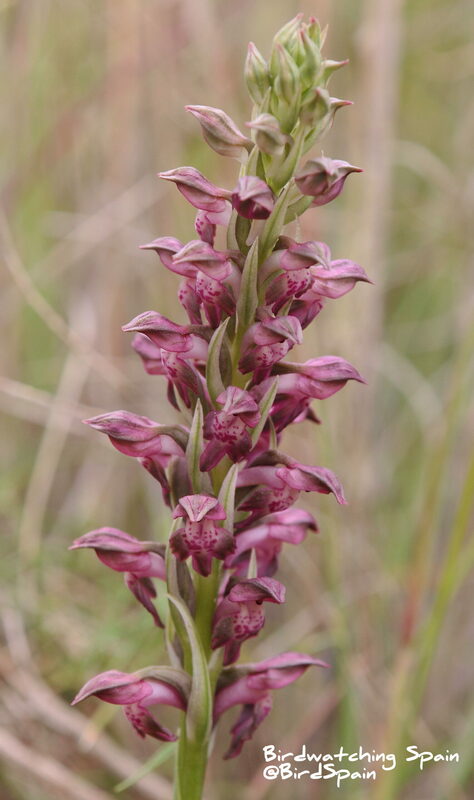 Orchis cazorlensis. Seen in La Mancha and Serranía de Cuenca tour. Endemic. 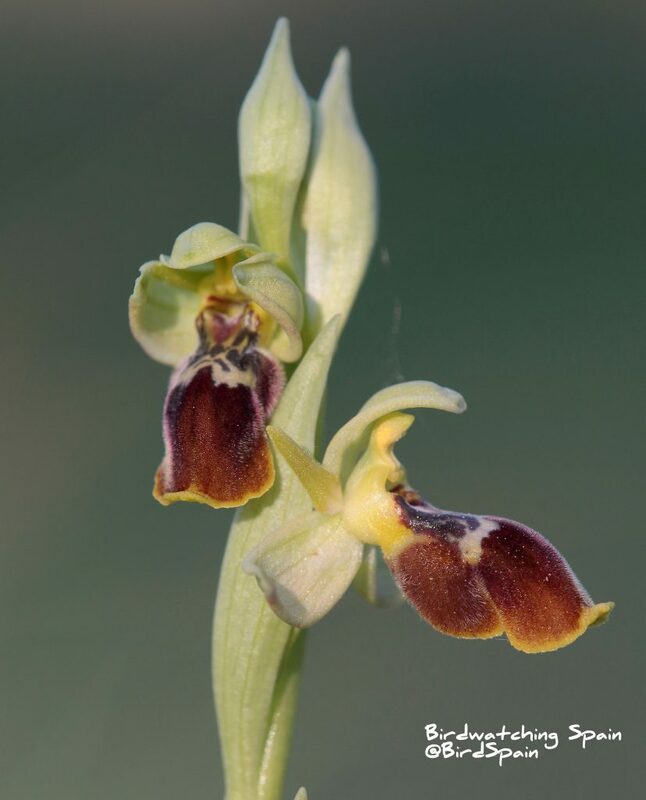 Bumblebee orchid – Ophrys bombyflora. Seen in the tour around Granada. 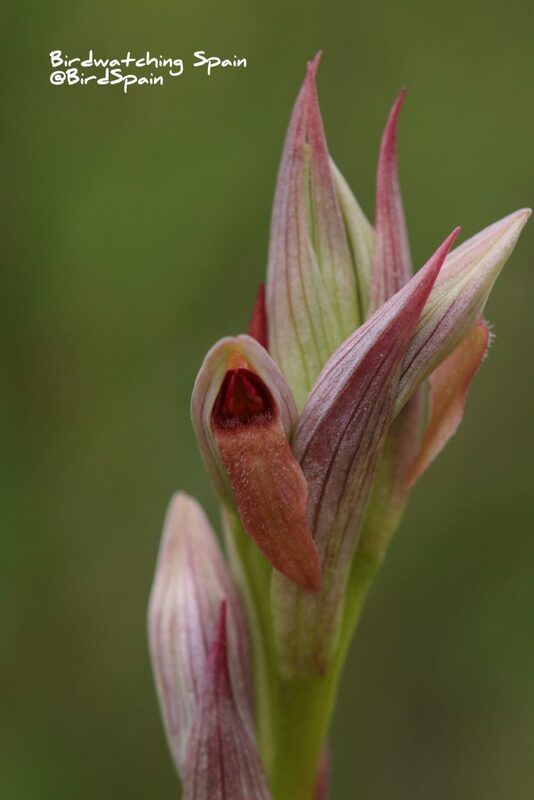 Man orchid – Aceras anthropophorum. Seen during local tours in Alicante and Valencia. 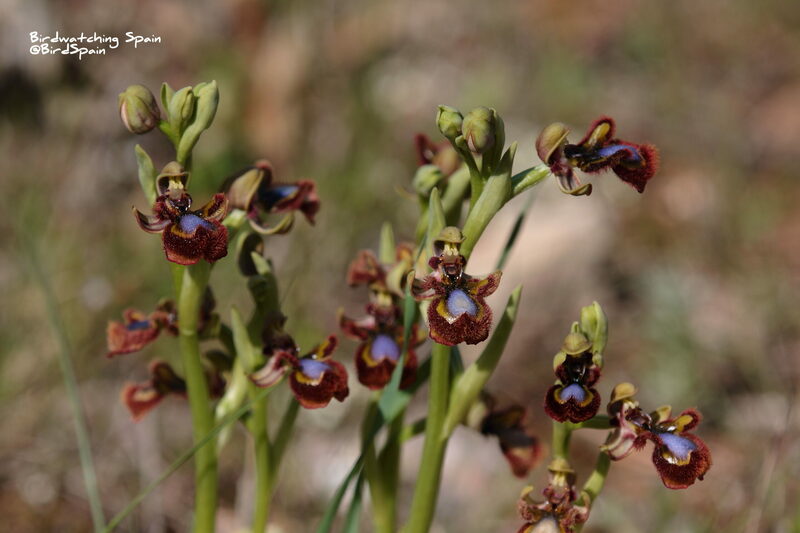 Mirror orchid – Ophrys speculum. Widely spread. 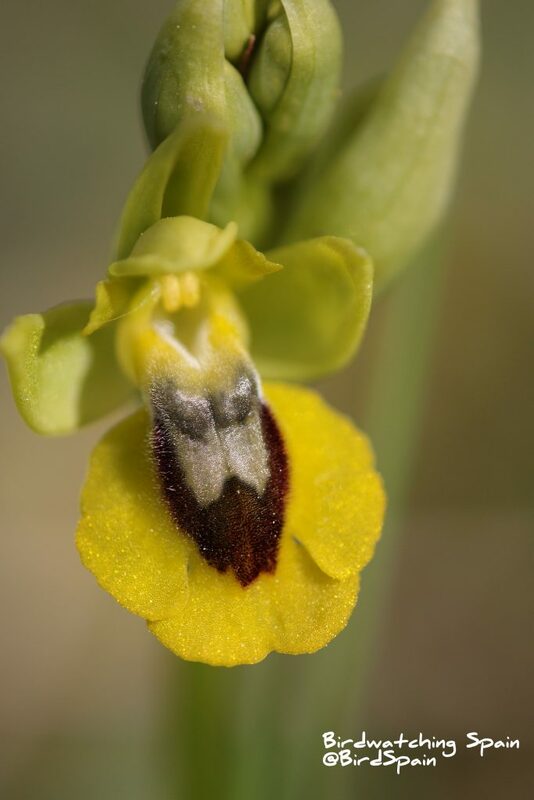 Yellow Bee orchid – Ophrys lutea. Seen in Alicante and Granada tours. Pyramidal orchid – Anacamptis pyramidalis. Seen in Alicante and Valencia tours. 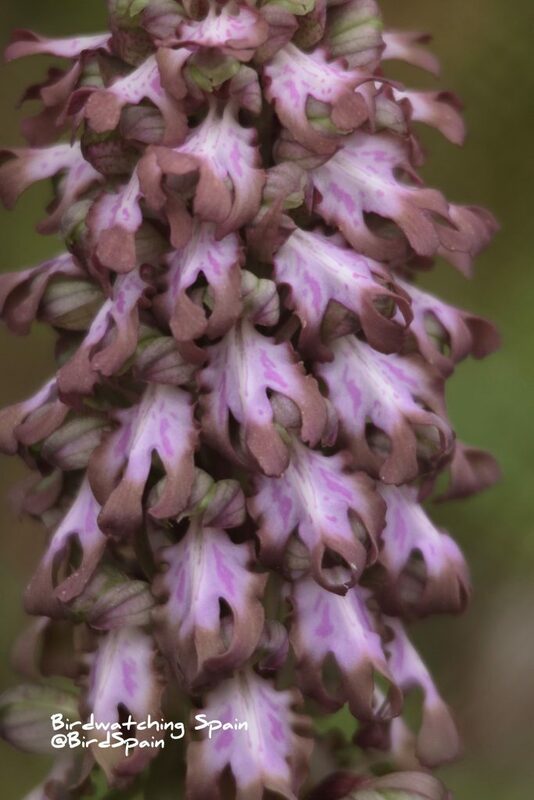 Champagne orchid – Orchis champagneuxii. Seen in Extremadura. Androrchis olbiensis. Seen in Valencia and Cuenca tours. 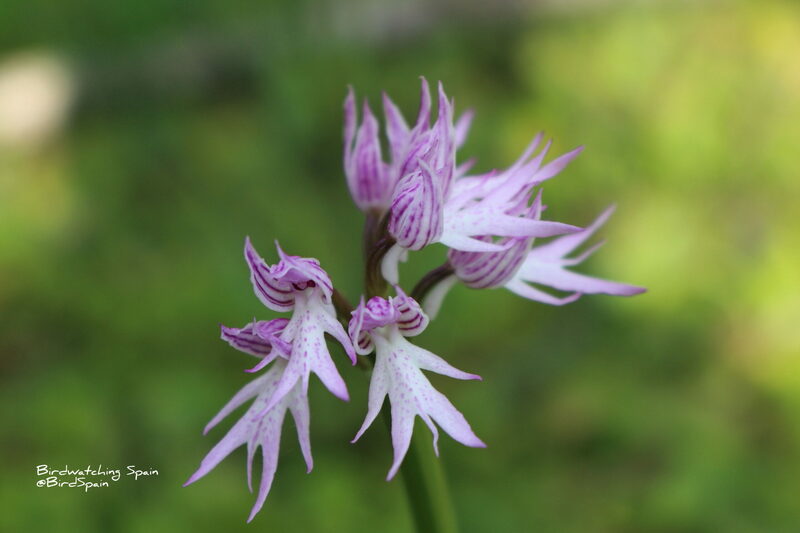 Bug orchid – Orchis fragans. Seen in Alicante tour. 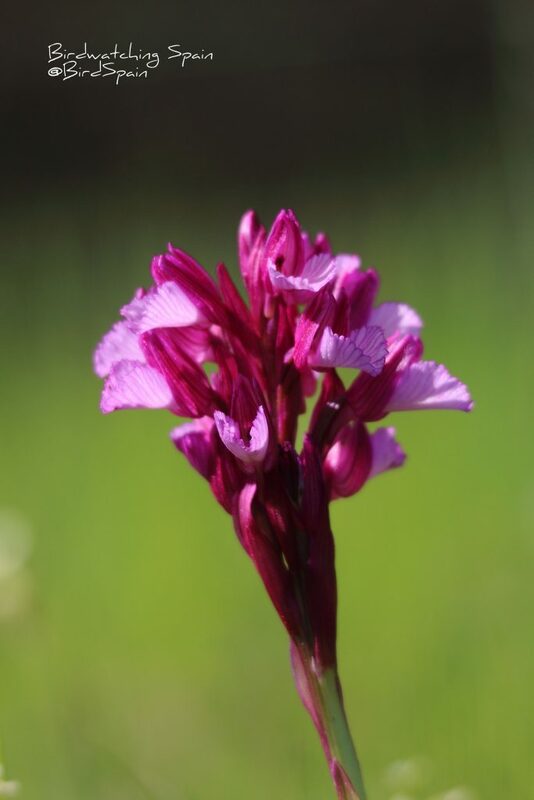 Lady orchid – Orchis purpurea. Seen in the Pyrenees and Alicante tour. 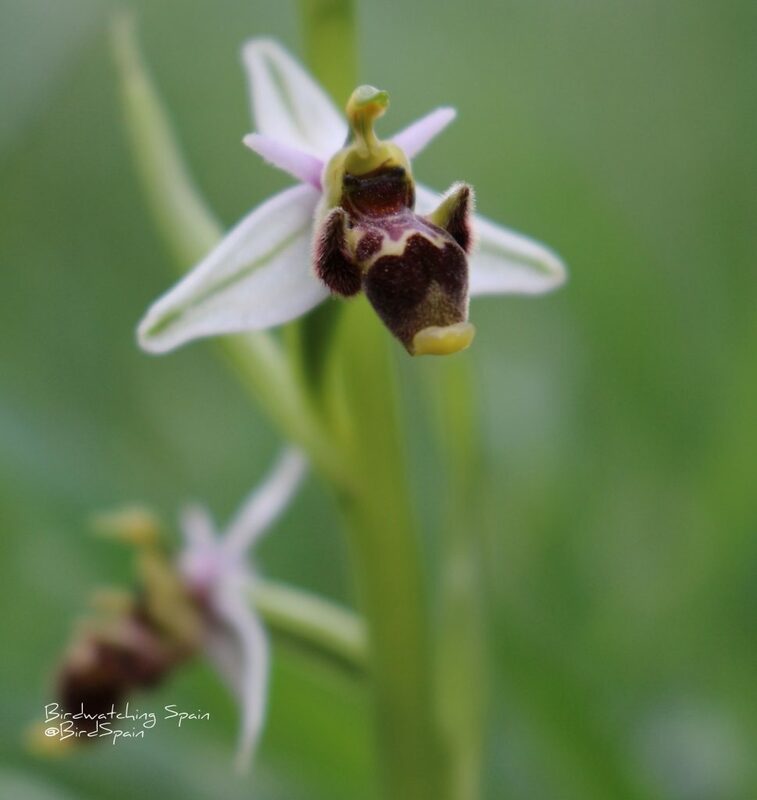 Early spider orchid – Ophrys sphegodes. Seen in Cuenca and Valencia tour. 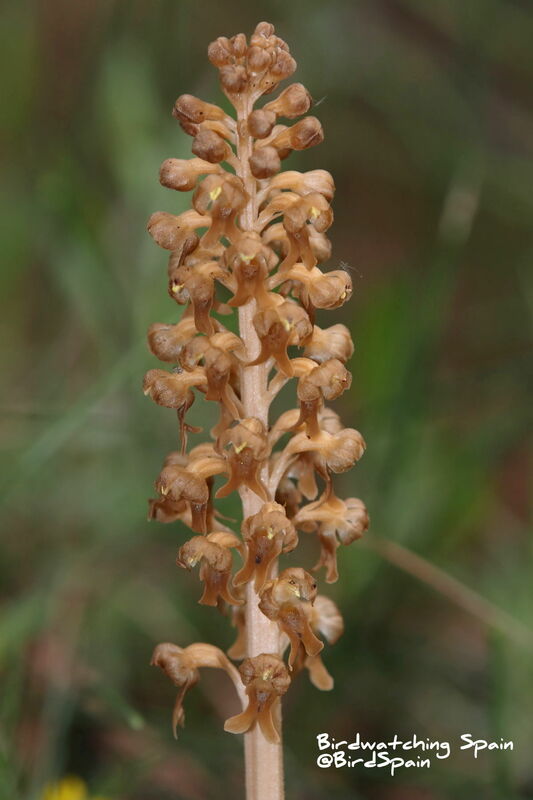 Bird nest orchid – Neottia nidus-avis. Seen in Valencia tour. 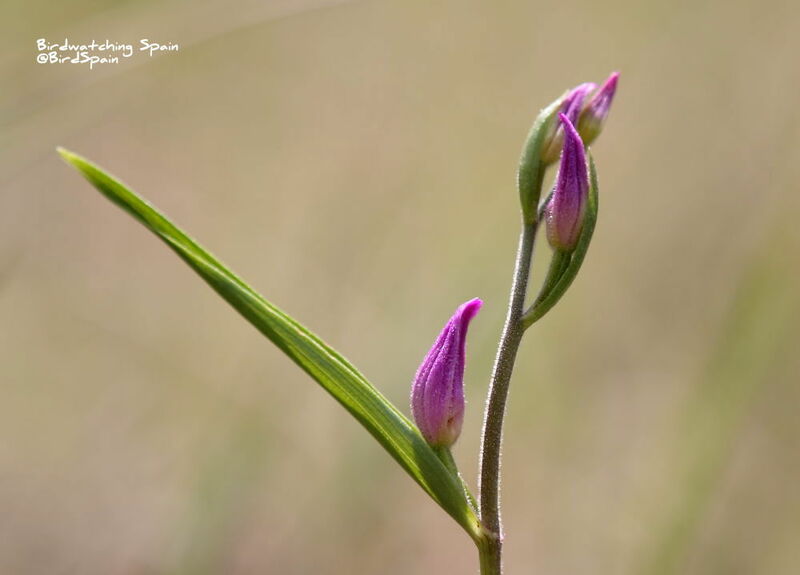 Red Helleborine – Cephalanthera rubra. Seen in Valencia tour. Violet Limodore – Limodorum abortivum. Seen in Valencia and Alicante tour. Common Twayblade – Neottia ovata. Seen in Valencia, Alicante and La Mancha tour. 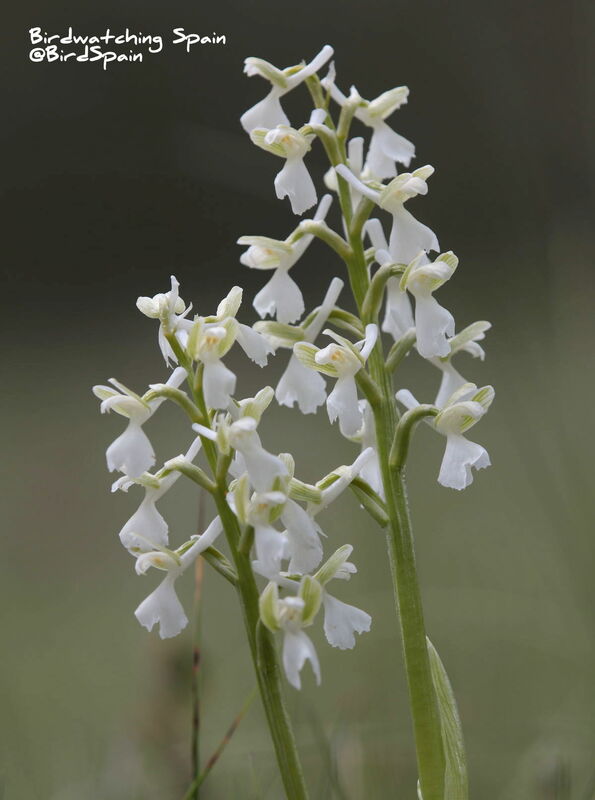 Lesser butterfly-orchid – Platanthera bifolia. Seen in Valencia tour. 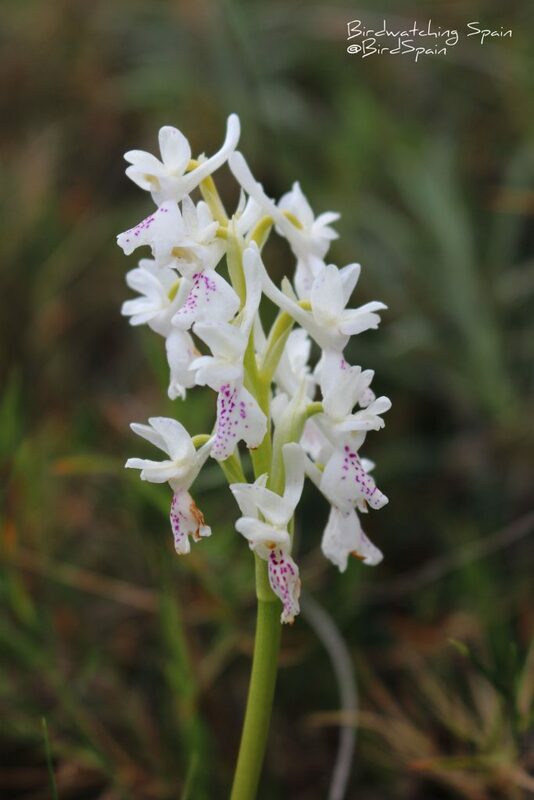 Green-veined orchid – Orchis morio. Seen in Valencia and the Pyrenees tour. 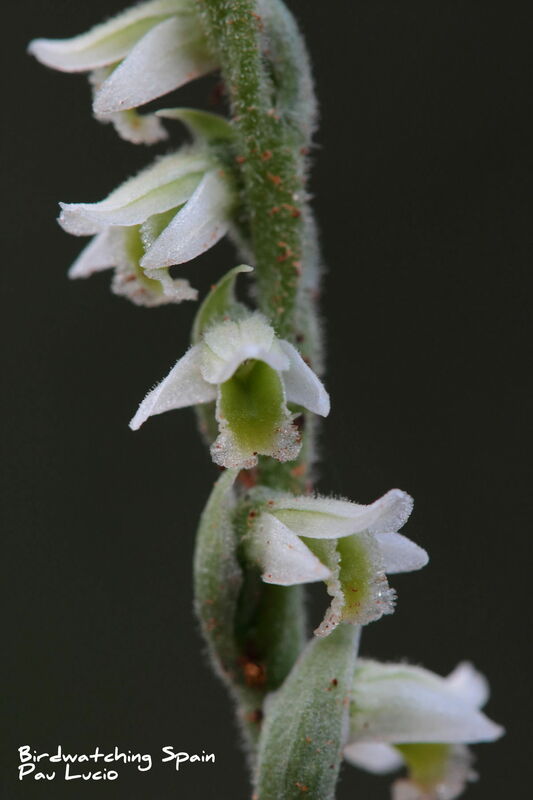 Autumn lady’s tresses – Spiranthes spiralis. Seen in Costa Blanca tour. 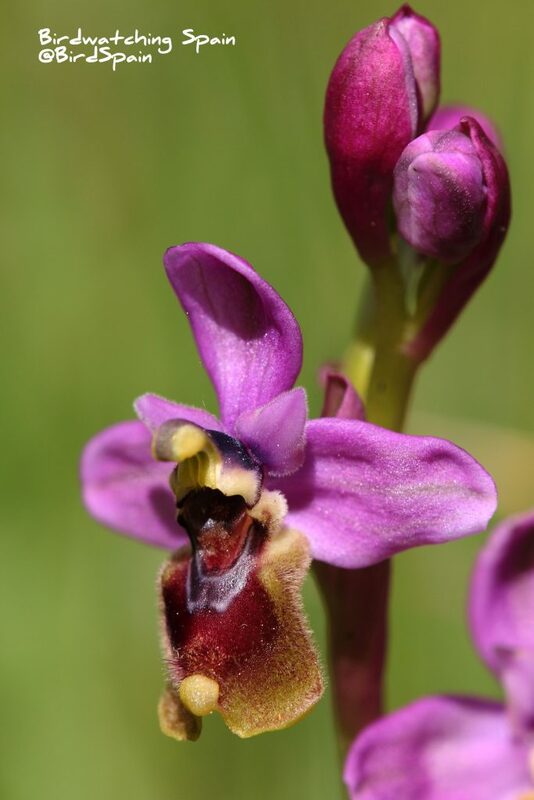 Be welcome you to join any of our wildlife and orchids tours Spain. Apart from these photos, we post regularly in the following website, please click here to see more images and if you wish join our social community.